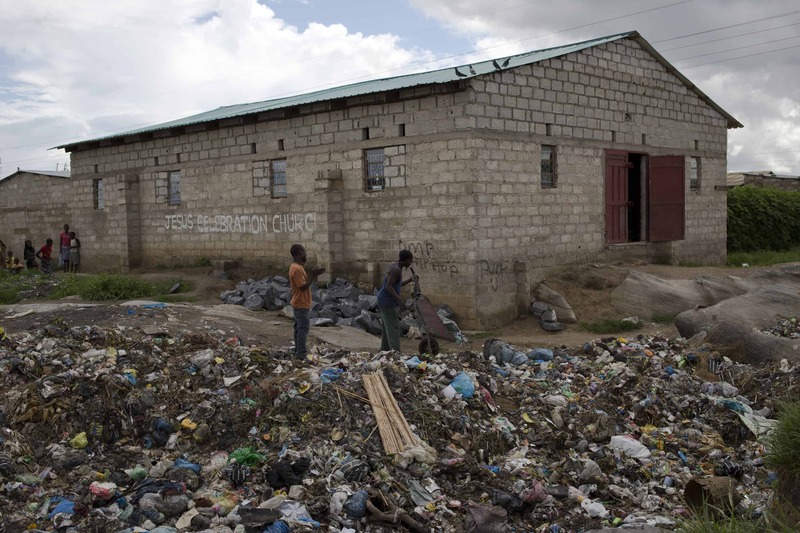 People dump rubbish outside the Unity Community School in Chawama, a high density suburb in Lusaka , Zambia. Many street children rummage through dangerous rubbish dump like this one to find and sell metal or plastic scraps. Written by Katie Fowler, Development Director, currently visiting our partners overseas. I’m in Lusaka, Zambia visiting two of our partners who are working to prevent and support children, girls and young women living on the street. I’ve had the misfortune of seeing children in this environment on too many occasions, it’s harrowing at best, devastating at worst. It makes me feel so angry and helpless that we cannot click our fingers and resolve this cycle of street life. The street population of Zambia began to grow in the early 90’s when the majority of children living on the street were AIDS orphans. But now, the children on the street are there because of abject poverty, the worst kind of poverty; the kind that leads a child to leave his or her home in search of food, the kind that causes mothers to send their children away because she cannot afford to feed them: the kind that forces entire families into the street because they have no where else to go. As I walked around the compound’s market with our partner outreach workers I met a very young lady and her baby boy. She thrust her baby in my arms and ran away from us. Her expression was one of torment and despair but it was the look of relief as she released her baby from her own arms which really got to me. As I clung to the baby boy, who is incidentally the same age as my own baby boy, safe at home with his grandmother, I wept inside. I could barely leave my son with my family for 10 days, why does this mother want to handover her baby to a stranger so willingly. It’s not a difficult question, if only you could smell the baby’s nappy which must have been days old, if you could see the desperate, filthy, hopeless life this young mother was leading and the hourly struggle she faced to keep herself nourished so that she could produce enough breast milk for her baby. Our outreach workers followed her and convinced her to come back. She took her baby reluctantly who was screaming understandably. She removed her breast from her shirt and the baby suckled in vain. “Here comes her husband”, our outreach worker said, but my relief was only momentary as I quickly learned that her much older “street husband” was in fact a drug dealer, selling strong glue to the street children; their only coping mechanism. She was likely a victim of child marriage and the scars on her face and the fresh wound on the back of her head did not assure me that she was being cared for in anyway. We want to lift this family out of poverty. We need to prevent this baby boy from realizing the same fate as his parents. You can help our partners do this. 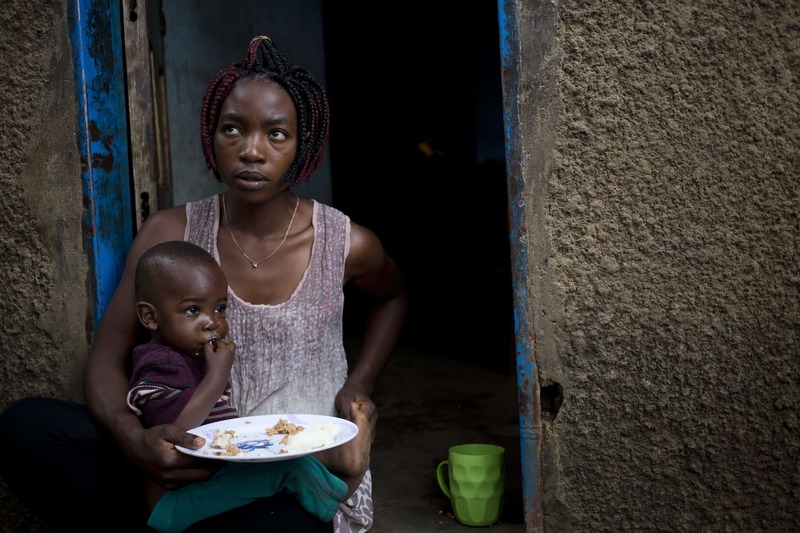 Counseling, training and income generating activities can help this young mother feed her baby, send him to school and keep him safe. Many times we may feel helpless or overwhelmed by people’s needs but the best thing we can do for someone is to give them a chance.